Do you sometimes feel swamped by too much information which is out of date? Then register now for an HSJ webinar looking at how selected, timely information can help organisations improve services to patients and improve efficiency. One year after the Health and Social Care Act became law what has been the impact of the new competition framework – and how can NHS organisations comply with the law while also pursuing their aim of providing high quality care in a way which is both affordable and sustainable? This free webinar, in association with specialist healthcare law firm Hempsons, will look at the key issues for NHS and foundation trusts, and how they can comply with the law while still achieving their aims of creating sustainable and financially sound organisations. It will look at options trusts could consider such as provider collaborations, hospital chains and mergers, as well as the need to comply with competition law and the provider licence competition conditions. It will consider the role of commissioners in service and organisational change, and how organisations can best engage with Monitor and the Competition and Markets Authority, which will replace the OFT and Competition Commission on April 1. Viewers will get the chance to pose questions to our expert panel. Register now to ensure you are up to date on this crucial topic for acute, community and mental health trusts. This webinar will be essential viewing for chief executives and senior managers: make sure you register now. We look forward to welcoming you to HSJ TV. Can’t make it at this time? Don’t worry, you can catch up on demand after the event by registering with HSJ TV. HSJ is holding a free webinar on Wednesday February 5 at 12.30pm when an expert panel will discuss what the controversial section 75 procurement regulations have meant for the NHS and its providers. This webinar, sponsored by law firm DWF, will consider whether commissioners’ behaviours have changed since the regulations came into force in April, and how providers from both the NHS and independent sector can respond. It will also look at other aspects of competition within the NHS and the changing landscape these developments present for providers and also for commissioners. Register now to watch this free webinar, in association with DWF. Clinical decision support (CDS) is now recognised as a key element of health informatics strategy in both acute and primary care, refocusing hospital IT from being a mere replacement for paper processes, to point-of-care systems that can support clinicians to improve patient safety. HSJ invites you to view and participate in a free webinar, run in association with UpToDate, and find out how this easily implimented technology can improve patient safety, resulting in fewer prescribing errors, reduced diagnostic testing, reduced stays and improved hospital quality. Ensure you are up to speed with the latest developments. Essential viewing for Medical Directors, IT Directors, Clinical Directors, Directors of Nursing, NHS Informatics Managers and Patient Safety Managers serious about improving patient safety through technology, make sure you register to watch this webinar today. While a doctor or researcher might consider the best drug to be one which offers a 100 per cent certainty of cure, can the same be said of the patient? With Patient Recorded Outcome Measures (PROMs) and patient experience ever more important ways of measuring the quality of care, it could be argued that pharmaceutical firms will need to increasingly focus on drugs which improve the patient’s life rather while attempting to cure their condition. This HSJ webinar, run in association with Norgine, will explore the complex issue of balancing clinical efficacy of treatments with quality of life for patients. They are issues which might be considered particularly pertinent when it comes to cancer treatments. Researchers continue to search for a cure, but were that cure to involve unpleasant side effects – as chemotherapy and radiotherapy often currently do – would patients want it? Would they prefer a treatment which offered an 80 per cent certainty of cure but involved no side effects at all? • How can we decide where the balance should lie between clinical efficacy and quality of life? and in health research and development more generally? • Will Academic Health Science Centres and Networks make a difference in this area? HSJ has pleasure in inviting you to join a free webinar, sponsored by Partnerships in Care, to explore how to make parity of esteem for mental and physical healthcare a reality. The first ever NHS Mandate, published in November 2012, stated that there should be “parity of esteem” between physical and mental healthcare. NHS England and clinical commissioning groups (CCGs) are now formally charged with eliminating the longstanding inequalities between physical and mental healthcare. It will not be a straightforward task. Those with a mental health condition can currently expect to live for a significantly shorter period than average. Formal diagnosis and treatment is often difficult to secure and, where treatment is provided, it is not always that which the evidence suggests would be most effective. • How can true parity of esteem for mental health be achieved? • What are the barriers to closing the esteem gap, where everyone who needs it, has timely access to evidence based mental health services? • What do provider trusts, community trusts, CCGs and the third sector need to do to create parity of esteem between mental and physical healthcare? • To what extent is this truly being treated as a priority across the NHS? Register now – we would be delighted if you could join us. Does the thought of an enforcement intervention from the CQC keep you awake at night? Then join this HSJ webinar to explore what CQC regulation means –and what you can do now to ensure your organisation is prepared. NHS regulation now has teeth. What does this mean? How prepared would you be if the CQC came knocking at your door with an enforcement intervention? What are you doing to prevent it? This free webinar, in association with Ridouts LLP, will explore what senior NHS managers can do to prevent that enforcement intervention by driving up their internal QA, focusing on complaints and working in partnership with the CQC. •Paul Ridout, Partner, Ridouts LLP. Paul has worked through the whole of the last 40 years of changes and developments in what is now the health and social care sector. Paul has a unique knowledge from previous experience of how regulation has changed and how public funding of health and social care has been refined over those 40 years. The webinar can be viewed by registered users of the HSJ website by visiting www.hsj.co.uk/hsj-tv. Once it has been streamed, it will be archived and available on the site for a year. Register now - we would be delighted if you could join us. HSJ has the pleasure in inviting you to join a free webinar, sponsored by Interserve, to explore how redesigning patient pathways will impact on the NHS estate – and how NHS organisations can best manage this. The pressure is on to redesign the way care is delivered, whether at home, at hospital or in an intermediary environment. Such changes will profoundly affect the way the NHS uses its estates. Join this webinar to hear our expert speakers consider how estates and facilities management can support patient pathway redesign and help NHS organisations make the best use of the estate. The Francis Report has sharpened the focus on patient safety. There is a body of evidence to demonstrate that using information technology to provide clinicians with real time access to the most up-to-date evidence, guidance and protocols can significantly improve patient safety. This evidence base is international, coming from the US, Asia and Europe. So far, the NHS experience with CDS is under researched; yet never has there been a more pressing case to roll them out quickly. This HSJ webinar, sponsored by UpToDate, brings together an international panel of medical experts to offer their perspectives and answer your questions. •What is the evidence for clinical decision support improving patient safety? •Where in hospitals does it show greatest benefits? •How well accepted and understood is the evidence base? •What is the demand from clinicians for CDS? •Is there a one-size-fits-all solution available? •Do you need an electronic patient record to reap the benefits from CDS? The National Institute for Health and Clinical Excellence (NICE) regularly reviews new drugs which may benefit patients. When it issues guidance recommending a specific treatment, the NHS is required to provide funding for it within three months. Yet the implementation and adoption of new medications is often slow, primarily due to the complexities of discussions between clinicians and commissioners. With clinical needs having to be balanced with ever-tighter budgets - and the responsibility for commissioning moving to clinical leads at CCGs - those conversations are liable to become even more complex in the next 12 months. This HSJ webinar, organised and funded by AstraZeneca, will bring together Dr Anthony Brzezicki, GP and chair of Croydon clinical commissioning group and Dr Joseph Mills, Consultant Cardiologist, Liverpool, to consider these challenging issues. The debate will draw on the specific example of ticagrelor, approved by the European Commission in late 2010 and recommended by NICE a year later, with varied use across the UK. *How should commissioners and clinicians plan for the implementation of a new medicine? *When should planning for a new medicine begin? *What evidence do commissioners and clinicians need when they are considering a new medicine? *Have the changes in NHS commissioning had an impact on the planning for new medicines? *How is the commissioning of primary and secondary preventative strategies balanced? *How can cost effectiveness be balanced with clinical need? HSJ invites you to watch an exclusive webinar, in association with UpToDate, highlighting the benefits of using CDS (Clinical Decision Support) technology in medical training, CME and revalidation for Trusts. The webinar will examine research findings and offer practical recommendations for maximizing the educational and training benefits of CDS in hospitals. Essential viewing for Clinical Directors, Medical Directors, Medical Librarians, Training and Education Managers and Healthcare IT Managers, make sure you register to watch it today. HSJ invites you to participate in an interactive webcast on the challenges and benefits of introducing OFSTED-style ratings to the NHS. The Nuffield Trust has been commissioned by the Secretary of State for Health to consider whether aggregate ratings of provider performance should be used in health and social care. This webinar will discuss emerging evidence, challenges/benefits and diverse views from heath, social care and beyond around introducing aggregated ratings to the NHS and social care. The final Nuffield report will be presented to the Secretary of State in March 2013. Achieving better care at lower cost is the 'sweet spot' for managers trying to deliver their QIPP programmes. But doing this requires the active involvement of clinicians and an appreciation of some of the challenges they face in their working lives. With the ever-growing volume of medical research and guidance it can be hard for even the most senior doctors to stay on top of their specialism and take every possible factor into account. And for juniors it can be more than a little daunting - especially when senior staff are thin on the ground, such as at night. Offering them support in providing appropriate and safe care is a priority for many trusts - and software designed to help them in deciding on diagnosis and best treatment is one way to do it. There is a growing body of evidence that this can reduce unnecessary tests, speed up diagnosis and treatment, and can avoid harm to patients. This webinar will only be available to registered HSJ TV users through the HSJTV stream, so make sure you register today. HSJ invites you to view an exclusive webinar on innovation and knowledge sharing in the NHS, supported by NHS North West. There is never a shortage of ideas on how to improve the efficiency and efficacy of the NHS. Each year, individuals from both inside and outside the service come up with ways that healthcare providers could provide better care. Some of those ideas will get implemented in one department or ward. A few may get introduced throughout a hospital or trust. Very few will spread any further. Why is innovation and best practice slow to spread in the NHS? How can knowledge gained in one department be shared with another, and then with other departments in other organisations? Might it then be possible to share knowledge with colleagues in other countries? This HSJ webinar, supported by NHS North West, will bring together an expert panel drawn from both industry and healthcare to debate these issues. Why does the NHS struggle to spread knowledge, innovation and good practice? How can healthcare trusts more effectively share their knowledge with colleagues in other organisations? What impact will ‘Innovation, health and wealth’ have on the spread of knowledge in the NHS? What can the NHS learn from industry about innovation and knowledge sharing? What are the potential commercial benefits of more effective knowledge sharing within the NHS and beyond? Pam Garside, Sue James, Ian Renwick, Jennifer Dixon, and John Drew. HSJ invites you to view an exclusive webinar, sponsored by McKinsey Hospital Institute, looking at how hospitals will need to change over the next few years. Chaired by Pam Garside, panellists include Sue James, Chief Executive of Derby Hospitals Foundation Trust, Ian Renwick, Chief Executive of Gateshead Health Foundation Trust, Jennifer Dixon, Director of the Nuffield Trust and John Drew, Partner at the McKinsey Hospital Institute. No one in the health service expects hospitals to look the same in 10 years time. The challenges of improving productivity and quality, while also saving money, would be enough to prompt massive change in the sector. But the demands of commissioners who want to see more services moved closer to home and growing evidence to back centralisation of some services mean that this change is likely to be even more significant. This HSJ webinar will look at how some hospital trusts have started to transform themselves to cope with this, and ask what else needs to be done. It will be essential viewing for chief executives and board members who are keen to learn from the experiences of other trusts. Getting the views of experts on what needs to be done and where the good examples are. Dr Peter Bonis, Jan ten Sythoff, Dr Peter William, Jane Surtees. HSJ invites you to view and participate in an exclusive webinar on the growing importance of clinical decision support systems in association with UpToDate. Quality, cost and the rise in long term conditions are forcing all healthcare providers around the world to reassess how services can be delivered more efficiently and effectively. Most have concluded that whilst technology is not the only answer, it is invariably part of the solution. One key area is becoming increasingly clear – clinical support systems. Whilst healthcare provision has always striven to deliver the right care at the right time, it is now more crucial than ever that the clinical decision making process results in the best outcome for the patient in the shortest possible timescale. In addition, recent changes to the regulatory environment (such as non-payment for patient readmission within 30 days of treatment) look set to increase the pressure even further. - The economic impact of adopting clinical decision support systems. -Can clinical decision support systems contribute to reduced complications, length of stay and re-admission rates? -How can IT-enabled clinical support systems work to improve patient care? -Who is currently using clinical decision support systems and how are they measuring outcomes? -In what ways can the health service use technology to transform patient management? -Do clinical decision support systems really change clinical decision-making? HSJ invites you to view and participate in an exclusive “Innovations in Healthcare” webinar, in association with the Healthcare Advisory Forum and sponsored by Oracle. Quality, cost and the rise in long term conditions are forcing all health and care providers around the world to reassess how services can be delivered more efficiently and to consistently higher standards. Most have concluded that whilst technology is not the only answer, it is invariably part of the solution. The NHS faces additional cost pressures – the “Nicholson Challenge” to find £20bn of savings over the next four years. Many believe this can be achieved only by “reimagining the front door” to healthcare and enabling patient involvement and decision-making. •The existing system – where are we now, how did we get here, and what are the challenges as we move forwards? •Can technology contribute to the greater integration of healthcare services? What are the potential gains and challenges? •How can IT-enabled care support patient empowerment and allow patients to take control of their own care? • How are assistive technologies being used at the moment and what would be the best-case scenario? • In what ways can the health service use technology to transform the management of long-term conditions? • What are the budget implications to all of this? Can innovation be ignored as a game changer? Healthcare organisations are entering a new era where financial pressures and new operational models need to be balanced with the need to provide quality care. How can organisations best manage as the changes outlined in the Health Bill come into force and they need to protect services whilst striving to meet its challenging targets? Making efficient use of existing resources - whether those are staff or expensive facilities and equipment - will be crucial for organisations, whether NHS or independent, in this new, more commercial environment which will demand a flexible response to an unpredictable future. Effective use of the workforce can significantly help all healthcare organisations to rise to the challenge; to deliver improved productivity and higher quality services in an increasingly competitive environment. Planning how you deploy your workforce - and making certain you have staff with the right skills - is essential to meet the financial challenges within the healthcare sector and deliver patient centred care. Workforce planning has traditionally been seen as the role of human resources; however this is changing. Understanding the importance of planning the workforce to deliver service for today’s requirements and for the future is essential whether you are in a service, clinical, financial or planning role. This webinar will look at how you can plan and deploy the workforce you need. Pathology services are set to transform over the next few years - but what shape will they take and what practical problems will organisations encounter? how quality can be defined, measured and ensured. Now an HSJ online question and answer sessions, in association with Roche Diagnostics, will enable you to put your questions to a panel of experts. 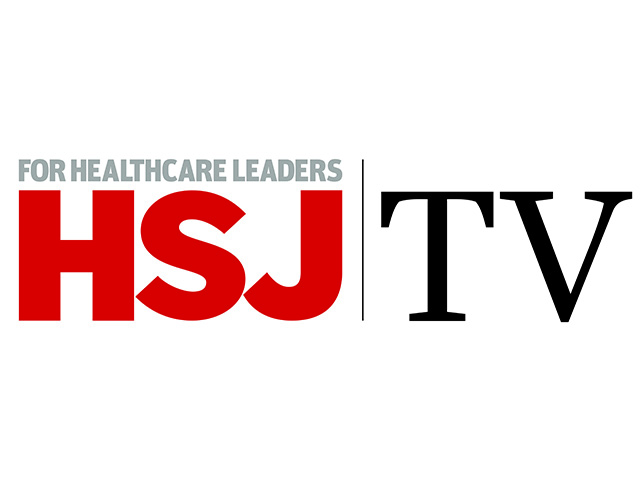 HSJ TV provides the very latest audio and video webcasts covering key issues from Primary Care, Acute Care, Mental Health and Public Health. We build on HSJ's excellent news reporting to bring you the latest interviews, case studies and interactive debates.